I know you’re tired of winter. I know you want days of sunshine, warm weather, and the ability to run outside without a coat on. And you miss green. Green. The leaves on the trees, the blades of grass, and the flowers. You can create your own “green.” Live, edible plants that are just sitting in your pantry, ready to be germinated. And, it’s so easy. It happens while you sleep. 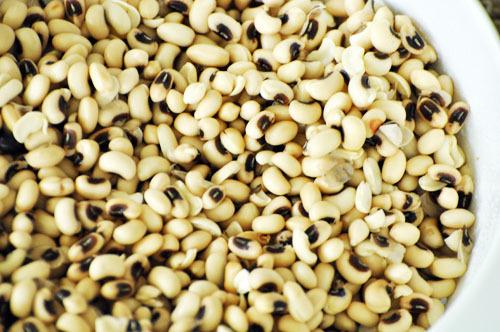 Beans are a great, cheap source of protein (when combined with whole grains), and they make great fillings for soup, and they taste great. But, the nutrients are inaccessible because of anti-nutrient components, such as phytic acid. Soaking mitigates phytic acid to a point, but if you go one step further, you can actually germinate the bean, and turn that dried bean into a live plant. A live plant… straight from your pantry in the dead of winter! Plus, those dried beans cook much faster once the bean is sprouted. You are no longer eating a seed, you are eating a live plant, fresher than anything you can find at Whole Foods market in the middle of winter. 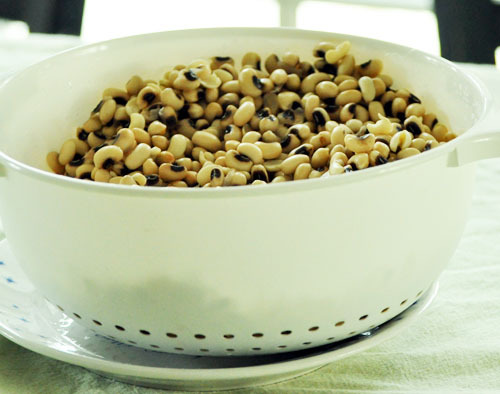 These are the black-eyed peas I have soaking/rinsing for our New Year’s Day Soup. Phytic acid prevents the calcium, magnesium, iron, copper, and zinc in the bean, making it impossible for your body to gain the nutritional benefits of those nutrients. Sprouting your grains, legumes and seeds, you are moving the phytic acid, taking it out-of-the-way so that the minerals can be accessed. Plus, there is the vitamin C.
“The process of germination not only produces vitamin C, but also changes the composition of grains and seeds in numerous beneficial ways. 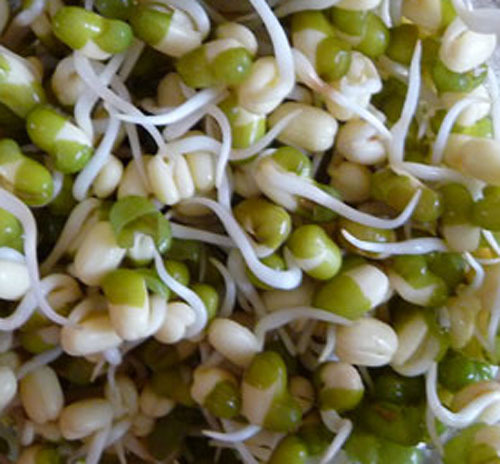 Sprouting increases vitamin B content, especially B2, B5, and B6. 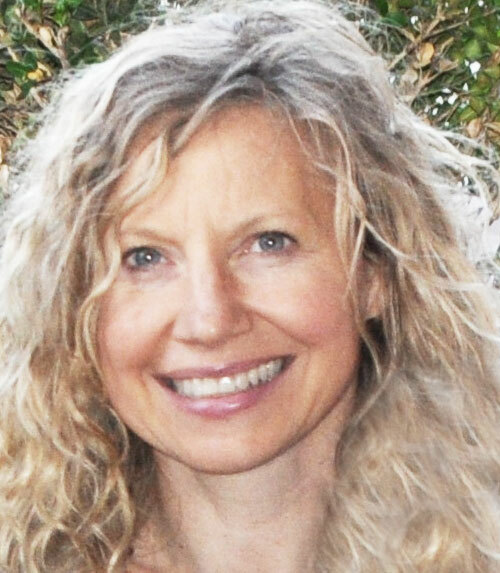 Carotene increases dramatically-sometimes even eightfold.” Sally Fallon, Nourishing Traditions, pg 112. Think about that. Those beans, sitting in those little bags from the grocery store in your pantry and locked up little plants… just waiting to give you an early gift of spring. NO DIRT REQUIRED! And, seeing those tiny sprouts, lifts your spirits. How hard is it? As easy as it is to rinse your strainer every 6-8 hours. Sprouting is not that hard, or different from soaking. There are lots of supplies and equipment lists… but you don’t need them. Just use what you have. If you soak your beans, you’re already half-way there. I start by soaking my beans in a big bowl or jar for at least 8-12 hours. Pour enough water over the beans to keep them covered. The beans will swell, and you’ll find that you need to add more water just to keep them submerged. A large pickle jar is great for this. The next step is to rinse the drains in a large colander– or strainer. LIke what you use for pasta. Just dump the beans in, and rinse them under a stream of very warm water. Put a plate underneath the strainer and let it sit — maybe under a towel on your counter (so it’s dark, like under-ground). Every once in a while, lift the towel off and give the beans another rinse under very warm water. In about 24 hours, while you were sleeping, you will begin to see tiny signs of germination. I usually stop when I see the white little tails — but you can go longer. Here is a handy chart to guide you. If you are going further, to create raw sprouts, with long green tails, use caution. They are susceptible to e-coli and other contamination. Do some research. 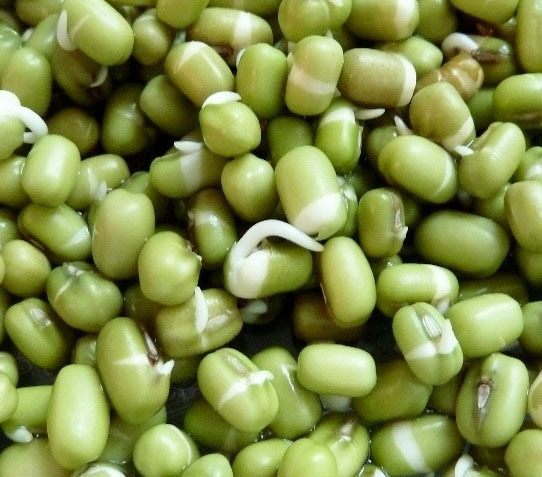 Once you have your sprouted beans, you can store them in your freezer, to use as you would any other frozen vegetable, or use them immediately to make a fresh pot of soup. But, I almost always cook my sprouts. Where are Your Six Stone Jars?